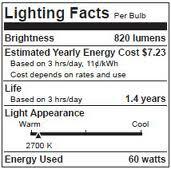 Effective in 2012 all light bulbs are required to have a label similar to this one. You are now able to compare the efficiency of one light bulb to another. 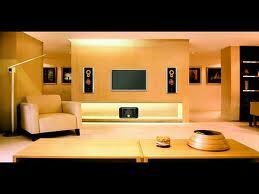 In the lighting business this is know as efficacy, the ratio of lumen output to watts consumed. 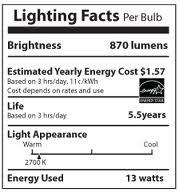 The label also has other valuable information about the light bulb such as color temperature, estimated annual cost and estimated life. One reason for this new label is to let the consumer make an informed buying decision. Most people have associated watts with light output. Watts are a measure of energy consumed, not a measure of light output. Lumens are a measure of light output. The label above is from a 13 watt compact fluorescent light bulb while the one to the right is from a 60 watt incandescent light bulb. You will notice that the light output (lumens) is about the same for each but the energy consumed (watts) is dramatically different. The efficacy of the CFL is much better than the incandescent, 67 lumens per watt as compared to about 14 lumens per watt. I am not advocating one way or the other for either type of light bulb. The label does the talking, you make the decision. Please visit the app store and download “LightSmart”, the free app from UL that has lots of useful lighting information you might enjoy. And please visit FoggLighting.com. We could not have lighting if it were not for electricity. Electrification is the generation, distribution and use of electricity for homes and businesses. A basic understanding of electricity is useful in planning for lighting and in choosing fixtures. Electrical design and especially installation should be the responsibility qualified electrical professionals. Electricity comes from the Greek word for amber which was known for its static electricity. Electricity is the movement of electrons along a conducting pathway. Electrons are negatively charged atomic particles. Matter has resistance to electron flow. Matter with the least resistance is called conductive, copper, silver, gold and water for example. Matter with the most resistance are insulators, paper, ceramic and wood to name three. Electricity flows when electromagnetic force is applied to a conducting pathway. The force is called voltage, the flow is called current. 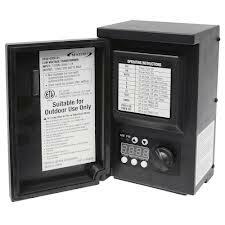 Volts measure the electrical pressure that creates current. Electric utilities distribute electricity at very high voltage because they are sending power over long distances. Transformers, like the ones you see on light poles, reduce that voltage to 110-120 volts which is what most households use to run appliances and lights. Voltage can vary up or down by 5% without causing any problems but greater variances can damage appliances. Current is the rate that at which electrons flow through a conductor. It is measured in Amperes, commonly called amps. Current is the function of electrical pressure and the amount of resistance in the circuit. Typical homes have a service that provides 150-200 amps. Large homes might have 400 amp services. A circuit is a closed path of electricity and includes the breaker or fuse, the wiring and the load. The load is the amount of watts used. A 20-amp circuit at 120 volts will support a load of 2400 watts. Watts measure electrical power and is a function of voltage and amperage (W=VxA). Wow, that’s enough of that. But at least now you know have an understanding of why electrical professionals are necessary to install and design lighting systems. Please visit FoggLighting.com and let us know if you have questions, needs or questions. Be sure to download the free app from Underwriters Laboratories called LightSmart. Lots of good information. 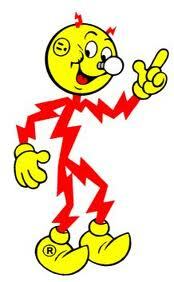 Regular household electrical current is 120 volts. It powers most appliances and lights in the typical home. Low voltage is either 12 volts or 24 volts and is created by using a transformer to reduce household current from 120V to 12V or 24V. Many fixtures are manufactured to use 12V. Low voltage lighting is particularly useful in track lighting, pendant lighting, recessed lighting, landscape lighting and accent lighting. Low voltage light bulbs can be a lot smaller that 120V light bulbs thereby allowing more flexibility in fixture design. They are almost always halogen. Low voltage does not equate to less power usage (although most halogen light bulbs are more efficient than other incandescent). Do not confuse volts with watts. Watts is the measure of how much power is used, so 50 watts is 50 watts is 50 watts. Recently a lot of low voltage lighting is being converted to LED. I expect this trend to continue and to accelerate in the future. LED is much more efficient than either low voltage halogen or incandescent. Once engineers find a better solution to the heat dissipation problem you will see better LED solutions to miniature light bulbs. Please visit FoggLighting.com and call with any inquires or comments. My first involvement with landscape light was courtesy of Home Depot. Before I was in the lighting industry and knew better, I went to Home Depot and bought a really inexpensive kit containing a small transformer, 3 or 4 up lights and some low voltage wire. I hooked it all up and enjoyed looking out at my backyard until piece by piece the system stopped working. I really like landscape lighting when done correctly and subtly. The photo at right shows a tastefully lit back yard. Notice the depth of field that the lighting produces. The trees are beautiful and the steps are lighted. 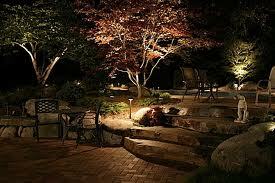 Landscape lighting brings the outdoors in and creates a focal point for people inside the house. It eliminates the “black hole” effect of windows at night. I can guarantee you that this lighting is not from Home Depot. Most Landscape lighting is low voltage, meaning a transformer reduces normal household voltage from 120V to 12V (24V in some circumstances). A two conductor wire is run from the transformer to the individual fixtures. The further away from the transformer the lower the voltage becomes. This is called voltage drop and is due to the resistance in the wire and the power that other lights are drawing from the transformer. Thus lights get dimmer the further they are from the transformer. LED technology is really beneficial in landscape lighting because LED’s use less power and therefore voltage drop is much less noticeable. When contemplating landscape lighting consider buying the best you can afford. There is a big difference in quality. Landscape lighting is exposed to the elements 24/7 and needs to be water tight and corrosion resistant. Landscape lighting is really enjoyable. Install some today! Please visit FoggLighting.com and call or email with any questions or comments. How High Should You Mount a Wall Sconce? 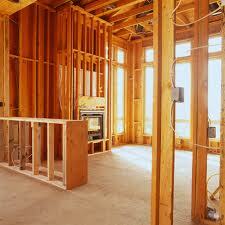 The short answer is sconces should be between 65″ to 70″ above the finished floor. Sconces above mirrors in bathrooms should be about 78″ above the floor. That being said, the mounting height depends on the sconce, the height of the ceiling and what you want the sconce to do. Sconces can be used as task lights, like in a bathroom, they can be used as decorative elements or they can be used to provide indirect light, or a combination of all the above. Sconces can be short and compact, tall and wide or anything in between. Ceilings can be low or high. All of these factors determine how high to mount a sconce. Before cutting a junction box into a wall I recommend cutting out a template and holding it against the wall to see how it looks. Bear in mind that sometimes the electrical connection on the back of the sconce is not in the middle of the sconce so the junction box might have to be higher or lower to maintain the finished height of the sconce. Also make sure of the dimensions of the back plate of the sconce. 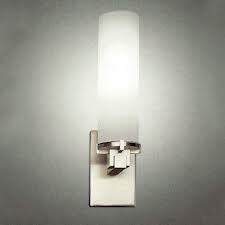 Some sconces have narrow back plates and will not fit over a regular junction box. You need a switch box for these sconces. 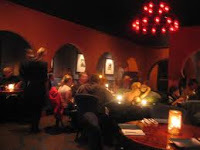 Please visit FoggLighting.com and contact us with all your lighting questions and for all your lighting needs. Well here I am, on vacation in Florida laying around in the sun. Wow, I really like this kind of lighting! If I could only figure out how to do this in Maine. The real wonder of sunlight is that it contains all the colors of the spectrum. It is the most amazing incandescent light source. The color of sunlight changes as the day progresses, but the change is due to reflection and refraction of the light passing through the atmosphere not that sunlight is changing. 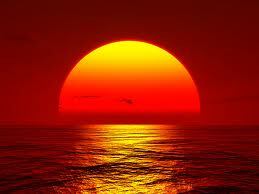 Sunlight is appears more blue in the morning and more red in the evening. Life is arranged around this change. More about this in a future post. While I am away feel free to visit our website, FoggLighting.com and call or email with questions or comments. because the color temperature is wrong, maybe it is because the place is unevenly lit or maybe the wrong fixtures are being used. There are quite a few reasons why the lighting could be wrong. When I was younger and went to restaurants (once in a great while) with my parents, my father always complained that he could not read the menu because it was too dark. (Could be we were at the restaurant pictured on the left!) This was a source of great fun because I kidded him about being old. Of course now that I have aged a little I know what he was talking about. When I go to a poorly lit restaurant I have to use my flashlight app to see the menu. My father did not have that luxury. Bad lighting is not reserved for restaurants or other commercial establishments. Unfortunately it is prevalent in far too many homes. When you plan your lighting please try to use as many layers of light as you can. Be mindful of lighting art or of lighting walls or of not over using recessed lights in living areas where social activities occur. Use fixtures that conceal the light source, a source of glare. Use a lighting consultant if the budget allows. Good lighting is a source of lasting pleasure. Please be sure to visit out website FoggLighting.com and call or email for any information or with any comments. A few years ago I did a lighting plan for the new house my wife and I were building. I had recessed lights located in just the right places and was dreaming about how perfect the house would be. I did a Lutron whole house lighting control system, touch one button and all the lights go out, touch a button in your car and lights come on, etc. Wonderful! And an electric roller window shade. In short a lighting designer’s dream house. It seems there were a couple of flaws in my grand plan. I did not know as much about framing as I should have known. The framing interfered with the placement of recessed lights so my plan for recessed did not work out the way I envisioned. The plumber and heating people got to work before the electrician so there were pipes and duct work were in the way of some of the other recessed lights. The Lutron whole house control system was great except my wife and kids could not figure out how to turn just one light on or off (there are no switches, just buttons). In order for the system to work it has to be programmed and there aren’t a lot of Lutron certified programmers around to call when you want to change how a button works…and they charge by the hour. We had a whole house generator that came on automatically if the power went off. That was good, but it caused the Lutron system to go crazy. Lights would blink on and off and buzz and do all sorts of weird things. We even had the component that prevented the weird stuff from happening, didn’t work. The good news is that I learned a lot about how to design lighting. The mistakes I made were at my own expense. Since then I take nothing for granted and visit house sites to make sure that the framing will not interfere with the lighting, etc. Whole home systems work and can work well but the homeowner should be aware of some of the in and outs of committing to the system because once it is installed it can not be replaced easily. Lighting is fun. Enjoy your experience and do not become overwhelmed. Please visit FoggLighting.com and call or email with any comments or questions. Glare is one of the most common and annoying lighting problems. Glare occurs when the contrast between dark and light is accentuated. 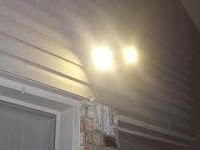 A good example of glare would be outdoor flood lights above a garage door in the dark of night. They light the driveway but can blind a driver pulling into the garage, like the photo to the left. That is the kind of glare that should be avoided. Lots of times this type of outdoor flood lighting is installed as a security measure. This works well if the homeowner is looking out a window from inside the house, but if the homeowner is outside the house the glare inhibits the eye’s ability to adjust and focus. The pupil can not contract fast enough. You will notice this especially if you drive into a driveway where the lights are on a motion sensor. It is dark one second and blindingly bright the next. Glare is also produced by outdoor sconces and post lights that have clear or clear seedy glass and a too powerful light bulb. Most commercial and municipal parking lots have lights that produce glare as do most highway interchanges. Glare is especially annoying and dangerous for older people because the ability of the eye to adjust to light and dark conditions is drastically reduced. When lighting your home’s exterior keep all this in mind. I recommend shielded light sources where you are not looking directly at a light bulb. The contrast between light and dark does not take as much lighting firepower as you might expect.